Position a rack in the middle of the oven and preheat the oven to 450*. Wash the asparagus under cold running water, break off about one inch from the bottom of each spear, pat dry with paper towels and place in a single layer on a jelly roll pan or baking sheet. 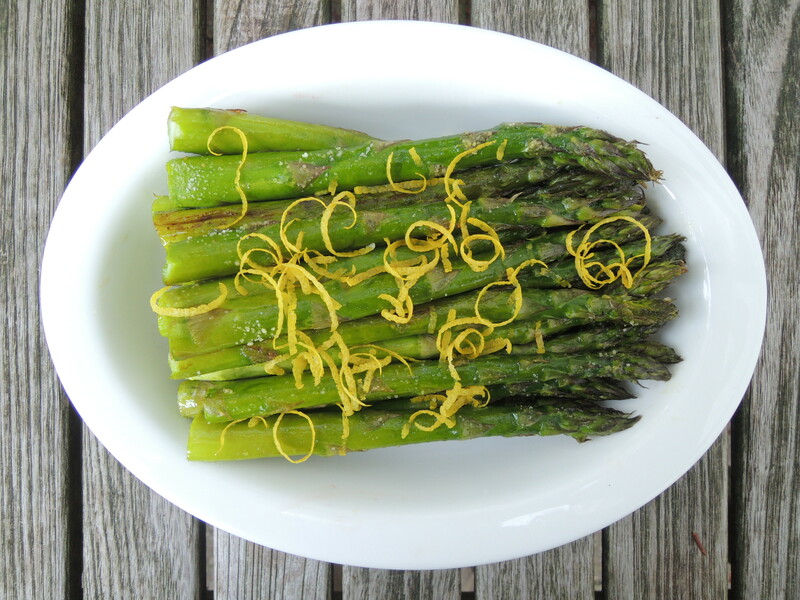 Brush asparagus with the olive oil and sprinkle with salt to taste. Roast the asparagus, shaking the pan every 2 minutes or so, until the spears are just tender when pierced with the tip of a knife. The timing will depend on the thickness of the asparagus, but 8 to 10 minutes is usual. 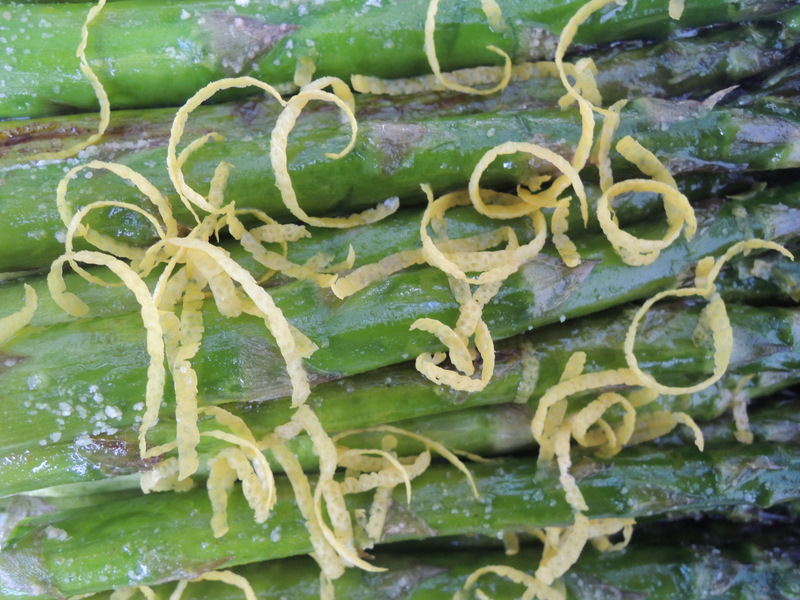 Transfer asparagus to a platter with tongs, sprinkle with lemon juice and lemon zest, and serve. Posted in AsparagusBookmark the permalink.